A real-time investigation of the explosive decomposition of heavy-metal azides is reported. A multichannel instrument configuration designed specifically for the goals of the study is described; it is capable of measuring the transient conductivity and the spectral and kinetic characteristics of the luminescence and absorption of exploding samples with nanosecond time resolution. New phenomena are discovered and analyzed in detail: the predetonation conductivity and predetonation luminescence of heavy-metal azides. 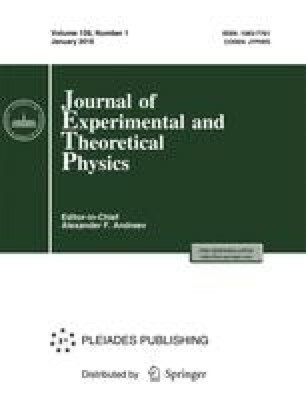 The conductivity of silver azide in the predetonation state is used to make an experimentally justified decision as to whether the explosion is driven by a thermal or chain mechanism, in favor of the latter. The sum-total of the new data provides the basis for the development of an experimentally justified model of predetonation luminescence and the explosive decomposition process of heavy-metal azides, including the following principal stages: hole trapping by a cation vacancy, reconstruction of the center as a result of chemical reaction with the formation of a quasi-local hole state in the valence band, hole detrapping from the reconstructed center, carrier multiplication as a result of impact ionization by hot holes, and reconstruction of a local state in the bandgap, thereby establishing conditions for repetition of the investigated chain of processes.